Pro-Line PowerStroke Scaler Shocks are detail driven, feature packed, and performance-minded. 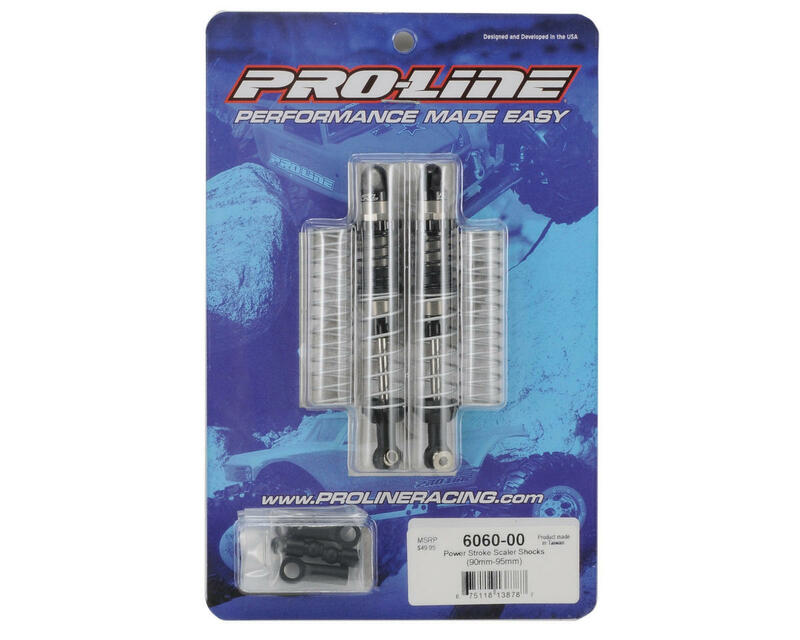 Pro-Line Scaler Shocks have a full aluminum threaded body and cap, and large 3.5mm diameter shock shafts, with both single and dual rate spring options included in the package to make them a great scale shock upgrade. 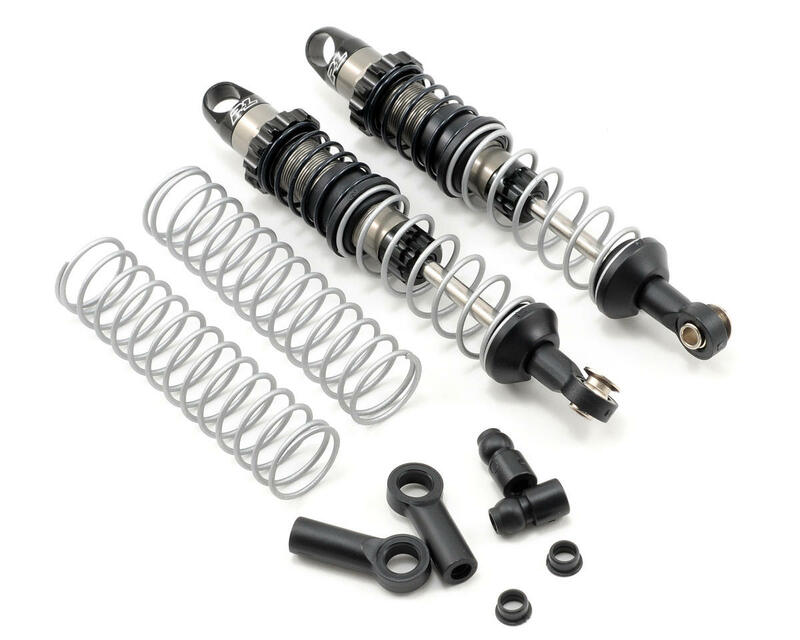 The shocks are 90mm in stock configuration, but the overall length can be adjusted to 95mm when the optional shock ends are installed. good shock but proline needs to put the top bell end in the shock. i had a hell of a time trying to find some thing to use to mount the top of the shocks to my scx10 honcho. and they did not give me all the parts they show you in the little parts bag to mount it up. Look great, leak IMMEDIATELY! Less than 10 minutes on the trail and 2 of the 4 leak. quality is quite good, pity mine leaked at the start. yep fitting them to the axial scx10 needed use of some spacers that where not included in the kit. might try them on my comp bully see how they fair. Cool shocks. I had no problem to mount them on my Axial scx 10 kit.